Type: BOOKS. Detail: Sarhan Guliev,Logman Guliev. Product Code: 9789056918095. The test positions in this instructive book cover the entire spectrum of what a modern club player should know. The reader is invited to find tactical blows, deep strategic manoeuvres, opening traps, standard endgame plans and other principles in action. Sarhan Guliev and his brother Logman Guliev have carefully selected the positions from their own games. That is why these puzzles are completely unknown outside the former Soviet Union. The fact that they originated from real games guarantees that the tests are practical, not artificial. The solutions rarely involve spectacular fireworks, as is the case in most chess puzzle books. The solution may be a quiet move or you may be asked for a reasoned evaluation. In the solutions the Guliev brothers clearly explain the underlying ideas and the principles that are involved. They always offer a general conclusion and have added thoughtprovoking and entertaining aphorisms. In addition there are points to earn with every solution, so students can keep track of their development. 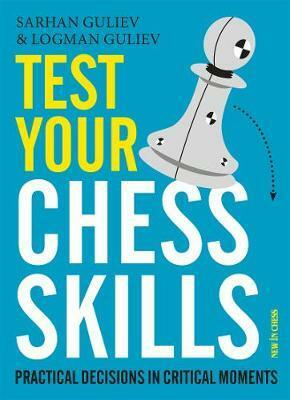 Solving the puzzles in this unusual and entertaining book is a most effective way to improve your chess. It will help you to develop a vital skill: the ability to take practical decision in critical moments. Softback, 208 pages.